It’s no secret the reigning and undefeated IBF welterweight king wants the big, big fights. In particular, the gifted southpaw who is a feature on plenty of current P-4-P lists wants a unification showdown with WBC/WBA 147 pound ruler Keith Thurman (who has stated how this particular Super Fight will have to wait until 2019). But, as much as we fans would also love to see Spence get the big fights, it seems th man many are calling the best 147 fighter on the planet will have to play the big boxing politics game first. We all know how badly Spence wants to become the undisputed welterweight champion, and due to this desire he is likely to obey the IBF order and accommodate the unbeaten but largely untested Ocampo. But what kind of a fight can we expect if and when this one takes place? Ocampo, 22-0(13) is not a big name, nor is he a big puncher; nor has he faced any big names. Ocampo’s best and biggest win is probably the decision win he scored over countryman Jorge Paez Junior back in November of 2015. Though he is a young fighter, one who has plenty of ambition, there is no way to tell how good or credible a challenge Ocampo can give the quite unbeatable looking Spence. Spence, as good as he is, will not be denied in his bid to become the best. 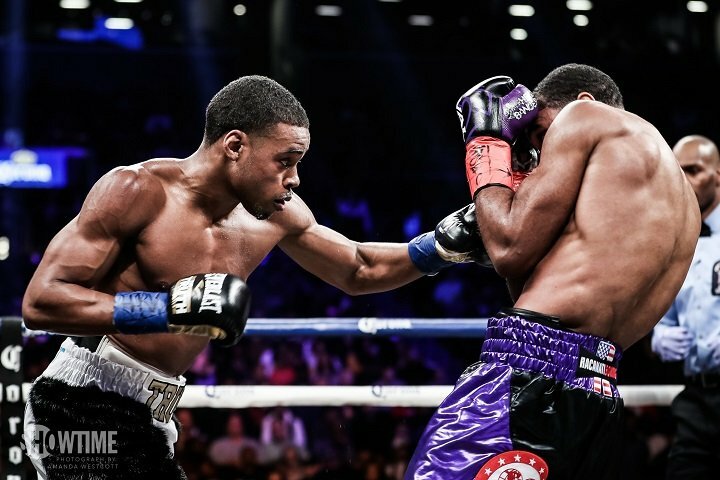 Already, plenty of people are willing to suggest Spence is not only the best welterweight in the world, but maybe the best pound-for-pound fighter in the world. With all due respect, it doesn’t seem as though anything Ocampo can do will change this view in the slightest.